Princess Cruises has announced the launch of its new Roll Call section on its Facebook page, which will allow people to meet their fellow passengers online before they meet on board. The new feature will allow passengers on a particular voyage to interact with each other, where they can leave comments or ask questions to fellow cruisers, plan get-togethers and more. Holidaymakers should remember to take out cruise travel insurance cover before getting on board. 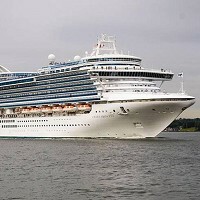 Pieter Van der Schee, head of brand marketing at Princess Cruises, said: "Many of our passengers enjoy the social aspects of a cruise and Facebook allows them to interact with each other before they meet on board. "We know our passengers like to reach out to their fellow passengers and now they can easily ask each other questions and make plans in the same way they do with friends and family using social media." Passengers will be able to locate a specific sailing easily as the new feature is organised by ship and date.